Buying an LED light is very different than buying an incandescent light bulb. An incandescent light bulb is a simple device with a tungsten filament. It consistently produces the same type of light with the same characteristics. However, LED lights are far more complicated. Their color comes from a phosphorus coating, which if applied inconsistently during manufacturing, will create different shades of color in the final product. Also, if the LED is not built well it will not achieve the efficiency expected from and LED light (i.e. it will use more power and produce less light). Furthermore, if the LED fixture does not effectively pull the heat away from the LED, the life of the LED will be dramatically shortened. Below is a list of 5 things to look for before buying an LED light to insure a beautiful and consistent color, long life, and maximum efficiency. Beautiful Color #1: What is the CRI (Colour Rendering Index) of the LED light? The CRI is an index from 1 to 100, 100 being a perfect score (e.g. sun light). Those ugly yellow parking lot lights (high pressure sodium lights) have a CRI of 49. The reason we are not a fan of fluorescents are because most of them are in the 60’s and 70’s range and do a poor job of accurately reproducing colour. This is especially true in a home where great care was taken in selecting fabrics for furniture, paint color for walls, and floor coverings. Most LED lights are in the low 80’s. The CREE LED can light has the highest CRI of all the LED can lights produced to date with a CRI of 92. Beautiful Color #2: Do the LED Lights Produce Consistent Color? Another difference between high quality LED lighting and low quality LED lighting is the consistency of the color temperature across multiple products. If you retrofit your kitchen with 10 LED can lights, it is important that all 10 produce the same “white” light. The CREE LED can light has a technology called “True White”. This circuitry continually measures and adjusts the output of the light to insure it is consistent in color temperature from fixture to fixture and over time as well. Ask your LED salesperson if the LED lights you are buying will be consistent in color temperature. Direction of Light #3: Will the LED Light Shine Light Where I Need It? Unlike an incandescent lamp, which has a filament that emits light in 360°, an LED is a small semiconductor chip, which by nature only emits light in one direction. LED manufacturers then place a lens on top of the LED to either narrow or widen this light. Unlike an incandescent lamp, most LED lights come with a specified beam spread. Whether you need a 10° spot light, a 60° flood light, or an LED replacement for your lamp with needs to mimic an incandescent, be sure to examine the LED light beam spread ratings before you buy. Long Life #4: Does it have an Effective Thermal Management System? Many LED manufacturers boast of their LED lamp life being 50,000 hours or more. While LEDs have the potential of lasting this long, this is only true if the led fixture is designed to effectively pull the heat away from the led. 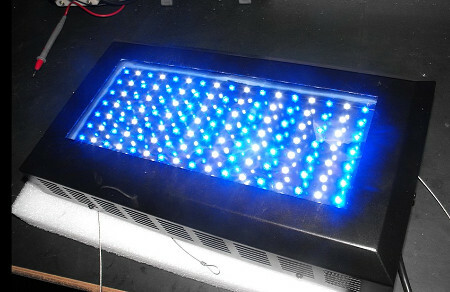 Many people think LEDs do not produce any heat. This is not true. They do produce a small amount of heat, but at the small junction on the LED surface where the light is being produced, the heat is intense. A well manufactured LED light using LEDs of .5 watts or more will have a piece of metal with fins for cooling as part of the fixture. Setting the Mood #5: Can the LED Light be Dimmed? Not all LED lights can be dimmed. Be sure to ask this question before being your LED light. If the answer is “Yes”, be sure to ask what kind of dimmer to use. Some LED lights can be dimmed with a standard incandescent dimmer. Others need a magnetic low voltage dimmer. Still others need an electronic low voltage dimmer or even a dimmer built for fluorescent ballasts (using the 0 – 10V dimming system). Be sure to buy your LED lights from a knowledgeable salesperson who can guide to the proper LED light and corresponding dimmer. Less Power Required #6: Will the LED Light Save Me Money? I know I am on point 6 of a 5-point list, but no conversation regarding LED lighting is complete without a discussion regarding the lower power requirements of LED lighting. The actual term to measure the efficiency of lighting is called Efficacy and is measured in lumens per watt. Lumens is the amount of light output of a light source, so Efficacy measures how much light is produced for each watt of power used by the light source. The higher the efficacy, the more light that is produced for the same amount of power. An incandescent bulb has an efficacy of 14, which means that a small amount of power goes towards light and the vast majority is used as heat. Fluorescents have a higher efficacy of 40, which is why “green” advocates prefer them because of their energy savings. Unfortunately, fluorescents have a low CRI (see above), are not dimmable (at least not without purchasing an expensive dimming ballast), and are not very “green” since they contain mercury with is very harmful to the environment. LED lights are the ultimate “green” light since they have an efficacy of over 60 (with reports that the newer LEDs are pushing 80), produce beautiful light (if you buy the right one), and are made out of a bit of metal and plastic, making them friendly to the environment when their life is over. When talking dollars and cents, the bottom line is that while LED lights are more expensive initially, their payback time is about 2 years depending on usage. If you replaced a kitchen that had ten 6” can lights containing 75watt incandescent lamps with the CREE LR6 (a 12 watt LED that retrofits into a standard 6” can light) and used them 10 hours per day, the payback period would be 2 years 3 months, with a total savings of $4,810.58 over the life of the LED light. The prices for LED lights are quite high and may not sound affordable to many. But, though the initial cost is too high, these lights are manufactured to save on a lot of energy and thus the money in the long run.